Boo on the weekend being over and the start of what promises to be another very busy work week tomorrow. 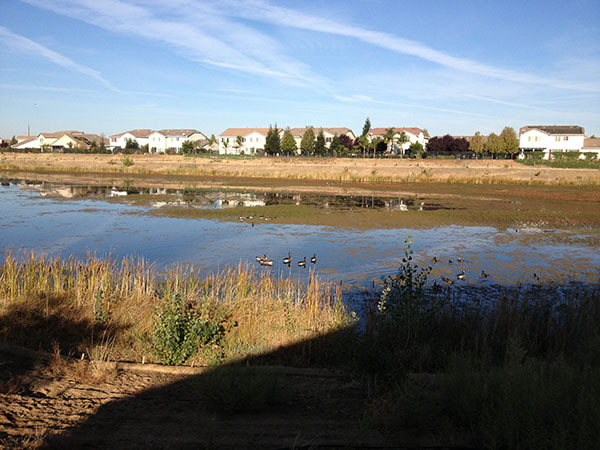 But today was just a pleasant and productive day that started with a leisurely 5.5 mile run this morning were I stopped to snap pics of geese on my favorite nature trail. 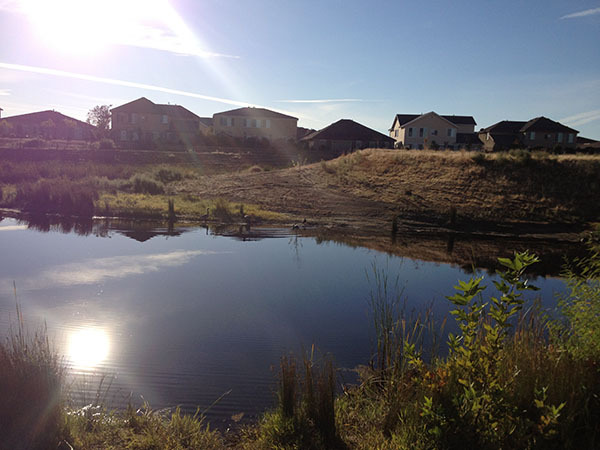 The weather was perfect – sunny and slightly warm. I wasn’t worried about my pace, just enjoying the views. 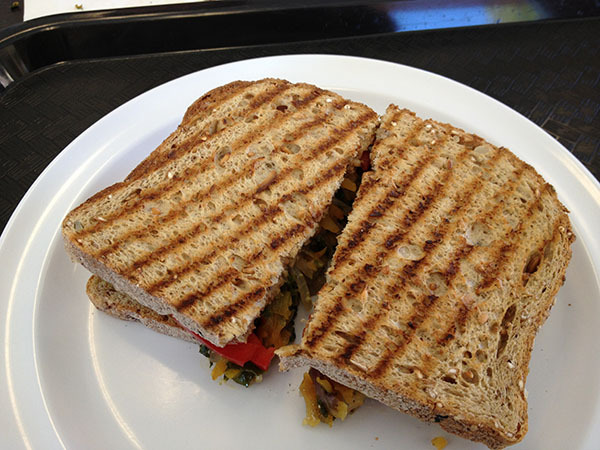 For lunch, my mom and I headed to Baagan before a girls shopping day where I ordered the butternut squash panini. It was warm, tangy, gooey, and delicious. 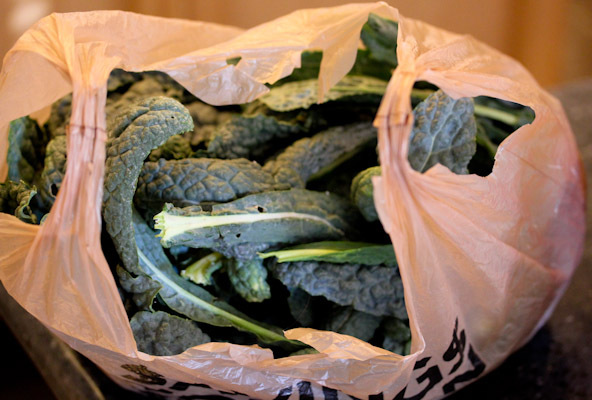 Especially chased with a bag of raw kale chips. 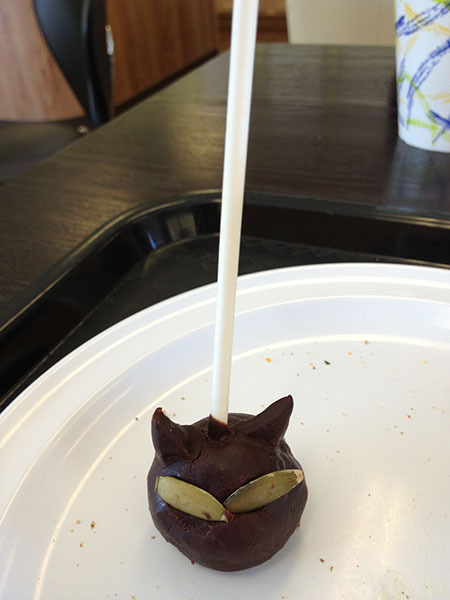 Then a raw vegan Halloween-themed cake pop that was almost too cute to eat! Then we headed to a local plant nursery to grab new veggie starters for my garden for kale, cabbage, 3 types of cauliflower, and broccoli. 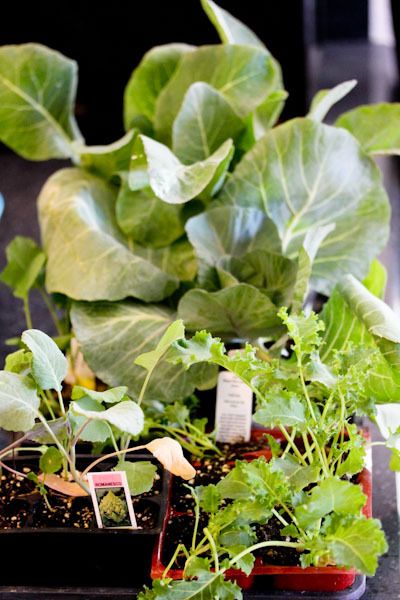 I’m trying to utilize our garden as much as possible for the winter here, it’s the perfect season for growing organic veggies with the lack of pests and plenty of rain, kale and broccoli seem to thrive in the wet and frigid weather. 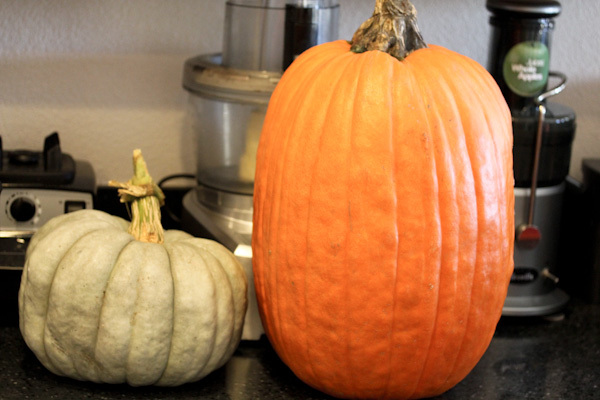 They were also having an awesome pumpkin sale too, so I grabbed a couple to carve for Halloween. Now I just need to figure out how to carve them! 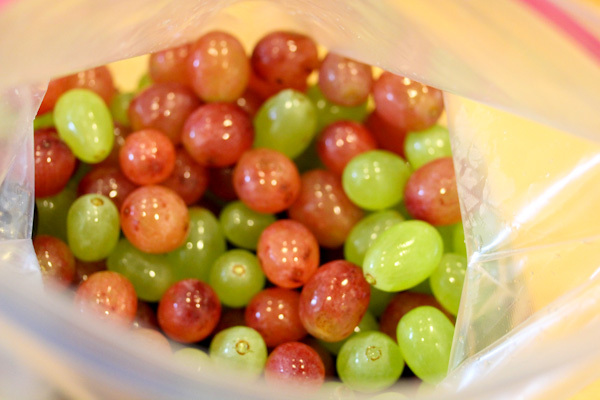 From there we headed to Trader Joe’s to load up on groceries for the week, I finally restocked my frozen grape stash in the freezer for glasses of wine and desserts. 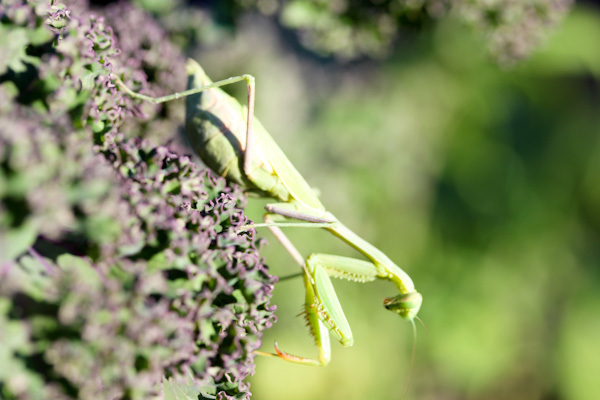 Slightly exhausted, I headed back home for a little garden work before dinner and came across this large praying mantis on my kale plants. And let him or her go one with their pest control duties after snapping a few pics. 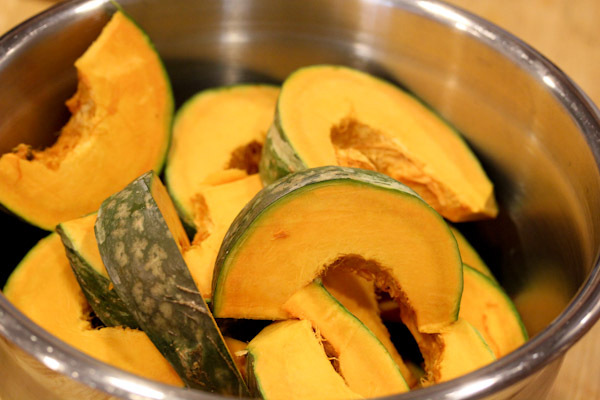 I kept dinner simple by baking kabocha squash wedges tossed in a little coconut oil and salt. 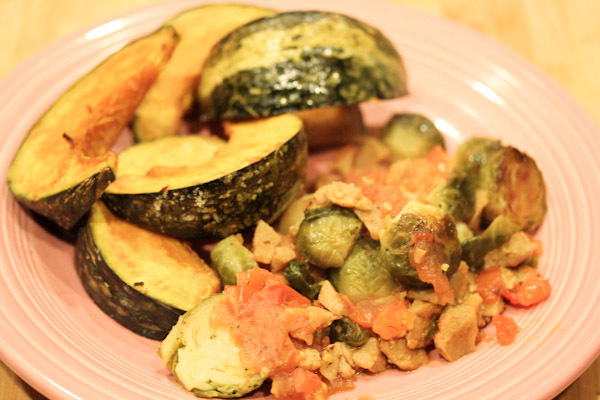 And sauteed seitan, brussels sprouts, and tomatoes with a little salt, olive oil, and Trader Joe’s 21 seasoning blend for a simple, but very filling dinner. Here’s to hoping this week is as productive and pleasant! Glad you had such a nice day – lovely weather! 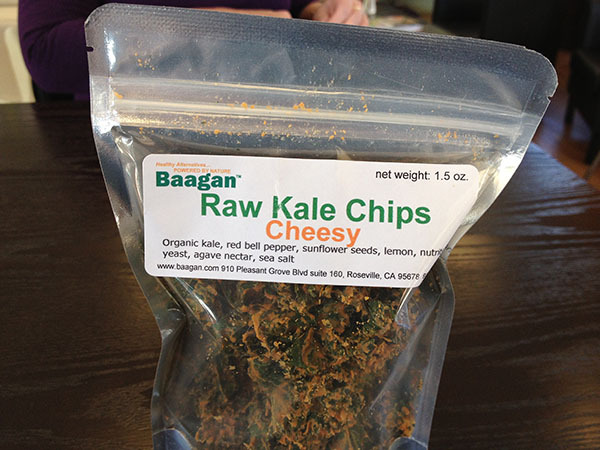 And kale chips and I’ve been grooving on little cherry/grape tomatoes lately, too!